It’s because I care that I can admit to you that I am confused by the behavior of the condominium segment of our Lake Geneva vacation home market. Geneva National, as evidenced yesterday, has been wounded by this economic downturn to such a degree that complete and total recovery looks to be years (and years) away. The lakefront condo market, in spite of solid inventory and relatively reasonable pricing, has fallen so silent that even a single showing in a weekend is cause for celebration. Individual condo markets around the lake- Abbey Hill, Bayside Point, Willabay- have all experienced a thorough and unrelenting drop in both price and volume, with Abbey Hill fairing far worse than the others. With chaos all around, Abbey Springs simply steps around and over its wounded comrades and soldiers on. As I’ve written before, the condo market at the lake has been spared the supremely difficult foreclosure issues that have haunted condominium markets elsewhere. But as I’ve also written, one positive of foreclosure ravaged segments is that they are typically pretty robust in terms of volume. At Lake Geneva, the broad Lake Geneva vacation condo market has avoided significant foreclosure trouble, but the lack of default by owners certainly hasn’t impressed many buyers of late. Abbey Springs is a development that should have has a difficult time navigating these foreclosure prone waters given their relatively high monthly assessments, but instead of caving during these difficult times, Abbey Springs has been the strongest leader in the Lake Geneva condo market. Activity at Abbey Springs has been found in fits and starts, but the activity when viewed on a quarter by quarter basis has been fairly steady. Today there are 3 units pending in Abbey Springs, and 27 total units on the open market. Just two properties have closed during 2011, but if you add another three to the tally, five sales in the books before the middle of May is a pretty solid way to start the year. The three properties pending now are all condominium units, which bucks the trend that Geneva National appears stuck in where the single family homes are getting most of the play. If all three units at Abbey Springs close, then just one of the five sales this year will have been of a single family home. If the condo market is near death, why is Abbey Springs the only development with the vaccine? The question is what has caused my confusion, as most market trends I can easily understand and embrace. When Abbey Springs is alive, it makes sense that Geneva National should be as well, particularly when you consider that a condo at Abbey Springs worth $350k would pale in comparison to the condos that $250k would buy in Geneva National both in terms of interior finish and square footage. And if buyers want the amenities that Abbey Springs offers (pool, tennis, lakefront), wouldn’t they be also considering the lakefront condominiums that exist in the $400k-$500k range? 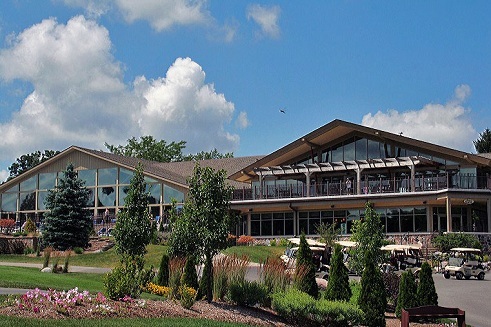 Lakefront condos generally afford views, slips, and some amenity like a pool or tennis court, or both, whereas Abbey Springs units are tucked into the woods with a golf cart ride standing between their unit and the water. Abbey Springs has a golf course, but do buyers really value a golf course over lakefront? Not the sort of buyers that I tend to work with. Perhaps Abbey Springs just is. Perhaps there’s just something about a development that is so utterly complete, that competition by outside market opportunities are shrugged off and dismissed without hesitation. Maybe buyers either love Abbey Springs or hate it, and if you’re in the “love it” camp, then you’ll buy even if other opportunities exist that might make equal or better sense on paper. Abbey Springs has certainly been impressive of late, and to say that the performance was unexpected by me is a sore understatement. The good news for buyers is that in spite of the strength that the market has shown through both good times and bad, there are deals ready to be had. I’ve been watching one particular townhouse drop in price quite steadily over the past two years, and it appears ripe for the picking in the very low $300ks right now. There are other deals waiting as well, which proves that even solid markets must offer up price concessions if they wish to maintain their momentum. A tip of the hat to Abbey Springs this morning on a job well done and a housing crisis all but avoided.